If you write romance novels, you may have heard the above a time or two from professionals or critique partners. I know I have! It’s one thing to get the feedback, but it’s another thing to understand it. 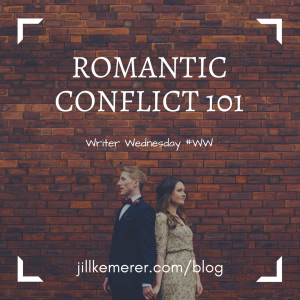 So today we’re talking about romantic conflict–what it is, what it isn’t and how to sustain it for an entire novel. Buckle up! This isn’t a formal definition, but it’s the way I define it. Romantic conflict is what keeps the hero and heroine from accepting they love each other and living happily ever after. Both of them have their own individual internal conflicts preventing them from embracing love. External circumstances plus their internal conflicts combine to produce the romantic conflict. Hero’s internal conflict: His ex-wife cheated on him and the whole town knew about it. He’s ashamed about the divorce and won’t date or marry again. 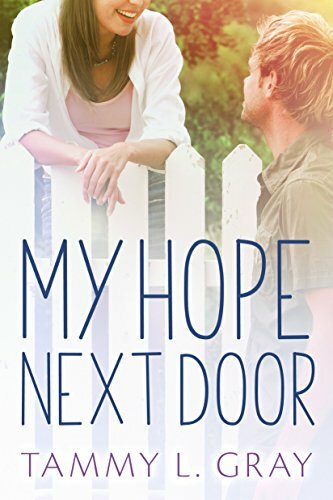 Heroine’s internal conflict: She’s never been good enough for her parents or the guys she’s dated. She wants roots, including marriage and a family. External circumstances: He’s secretly applied for a job as an outdoor guide in another country. She moved to Lake Endwell to create a life there and overcome her phobia of the woods. He’s helping her get used to the forest and feels responsible for her since she’s all alone. She’s helping him train his St. Bernard because she wants to repay him. She doesn’t understand why he can’t see what an amazing man he is. He doesn’t understand why she can’t see what an amazing woman she is. And through all this, he’s not going to date because it wouldn’t be fair to her. And she’s not interested in someone who won’t be around to plant those roots with her. All these factors combine to create the romantic conflict. It isn’t a simple problem that can easily be solved. It isn’t one-sided. Both the hero and heroine must have compelling reasons for not being open to an emotional love relationship. It isn’t based on a misunderstanding. It isn’t solely based on external circumstances. Really know and understand your main characters’ pasts. Why are they unwilling to have a serious relationship with each other? It’s fine to start out with “He got divorced and won’t date again because marriage isn’t for him,” but you’ll have to take it further. Why did the divorce make him decide never to marry? And why won’t he at least date? Take time to brainstorm what happened and how it affected him. He’s a man who believes marriage is forever. When his wife cheated on him, it made him feel inferior. He also was ashamed that the entire town knew about it. He thinks dating leads to feelings and feelings lead to love and love leads to marriage and marriage leads to being humiliated and destroyed. When you understand this about him, you’ll be able to throw him in situations that force him to confront these issues. For characters to grow, they need to have ups and downs. They have to do things that scare them on an emotional level. And sometimes they will win but another emotional conflict will hit them, making them doubt themselves all over again. 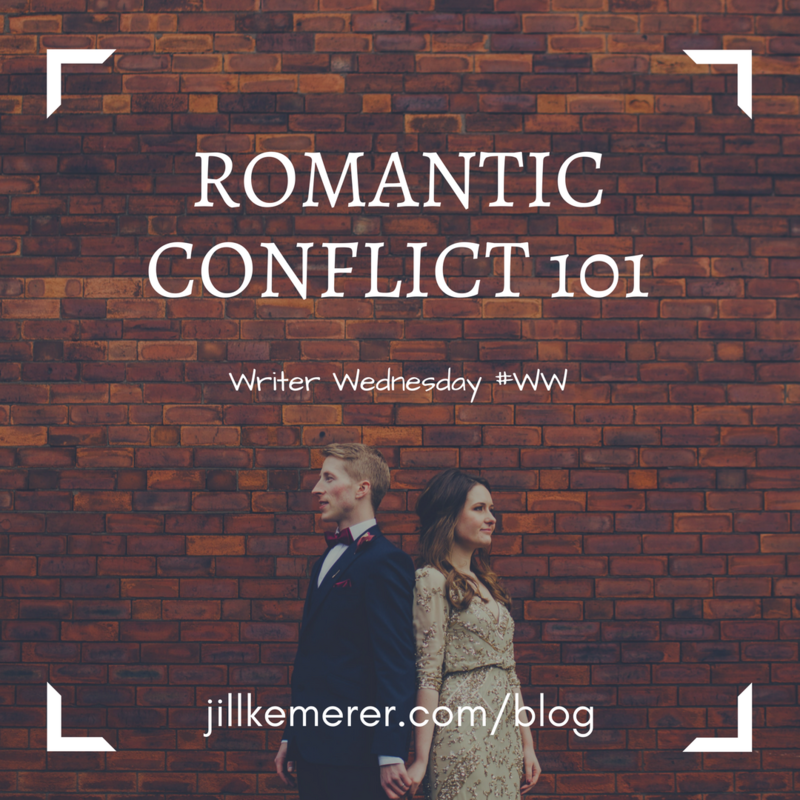 Romantic conflict isn’t static. It starts at one point for each character and, as the story progresses, gets more complex until both must confront their issues and make a choice–does she embrace love? Or does she let her fears/beliefs define her? The Black Moment will force each character to confront his or her reasons for avoiding love. As the story progresses, the reader should be thinking they’re perfect for each other but how in the world will they ever realize it? The Black Moment is also called All is Lost for a reason. This is the point in the story where the hero and heroine love each other but one or both are unwilling to take a chance on a serious relationship. The result is complete emotional devastation for each of them. The aftereffects of the black moment force both characters to OVERCOME their personal internal conflicts and commit to loving each other. The hero and heroine are coming across as petulant third graders rather than mature adults (or teens if YA). The hero and heroine could declare their love and get engaged in chapter four and the book wouldn’t change much. Obviously, I’m not talking about a fake engagement here! Only the heroine has a reason not to fall in love, and the hero seems smitten with her throughout most of the book. The only things keeping the characters apart are a series of misunderstandings. I’m sure there are plenty of romantic conflict points I missed in this post. If you read or write romance novels, I’d love to hear your pet peeves regarding what keeps characters from falling in love instantly. Please leave a comment! *Alert* I will be guest blogging over at Inspired by Life and Fiction on Friday, October 27. I’m talking about pets and giving away a fun prize, including a copy of my latest release, The Rancher’s Mistletoe Bride. I’d love for you to stop by! For easy reference, come back Friday and click HERE for their blog. Thanks for the tips! I am participating in NaNoWriMo for the first time and this series is helping me plan a bit. Thanks again for sharing your knowledge. Ooh, good for you, Deanna!! I’m so excited for you!! Keep me posted on how NaNo goes! Thank you for this clear and concise definition. It was very helpful. You’re so welcome, Bettie! I hope you’re doing well!